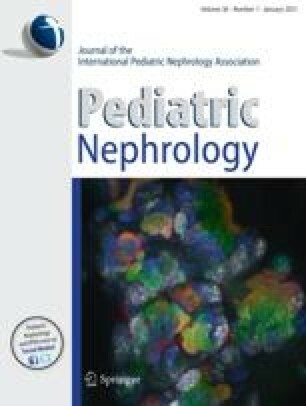 The objective of this study was to determine age-specific reference values for urinary calcium/creatinine ratios (UCa/Cr) of children in southern Thailand. Non-fasting urine samples were collected from a random population of 488 healthy children (282 males, 206 females) ranging in age from 17 days to 15 years. Samples were divided into six groups by age. Subjects whose calcium levels exceeded the 95th percentile within each age group were classified as having hypercalciuria. Pyuria, hematuria, proteinuria, urinary sodium, and potassium levels in children with normal UCa/Cr were compared with levels in children with high UCa/Cr. The 95th percentiles for UCa/Cr (mg/mg) by age were: <6 months, 0.75; 6 months to <12 months, 0.64; 12 months to <2 years, 0.40; 2 years to <5 years, 0.38; 5 years to <10 years, 0.29; and 10 years to <15 years, 0.26. Pyuria, hematuria, and proteinuria were no more prevalent in the 22 children with hypercalciuria than in children with normal urinary calcium levels. Urinary sodium/creatinine ratios (UNa/Cr) and urinary sodium/potassium ratios (UNa/K) were correlated with UCa/Cr (r=0.41, P<0.0001 and r=0.24, P<0.0001, respectively). Urinary potassium/creatinine ratios (UK/Cr) were not (r=0.05, P>0.1)). Children with high UCa/Cr ratios also had higher UNa/Cr and UNa/K (5.6±7.1 vs. 2.6±1.5, P<0.001 and 5.4±2.3 vs. 2.5±0.23, P<0.05, respectively) The study established reference values for random, non-fasting UCa/Cr for healthy Thai children and indicated that urinalysis is not a good indicator of hypercalciuria.